The Duchess of Sussex knows how to bring it on when it comes to her fashion choices. Sometimes, she follows the traditional rules by going for conservative and Queen-approved outfit choices. But she really isn't afraid to break a few rules. During their Australian tour, Meghan and her husband, Prince Harry, visited Bondi Beach and got to hang out with a community of people who are raising awareness about mental health. 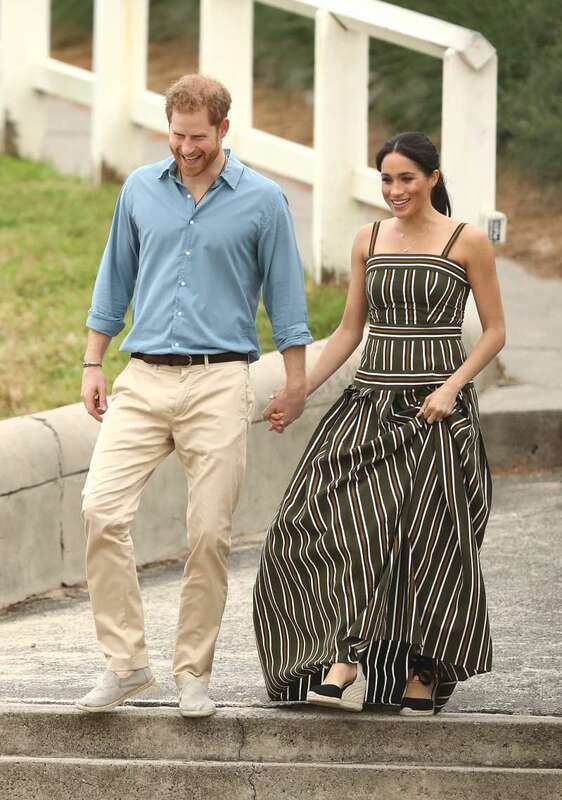 For the event, Meghan stepped out in a long maxi dress that left most of her shoulders bare. This alone was bending the rules just a little bit. However, it's possible she can get away with it since this beach outing looked quite casual. It was not the dress that had people talking, though. It was the fact that the Duchess wore a pair of wedges, which, apparently, the Queen simply doesn't like. A royal source once told Vanity Fair that Her Majesty is not really a fan of wedges and the women in the royal family are aware of this. READ ALSO: It's Baby Naming Time: What Will The Royal Baby’s Name Be? 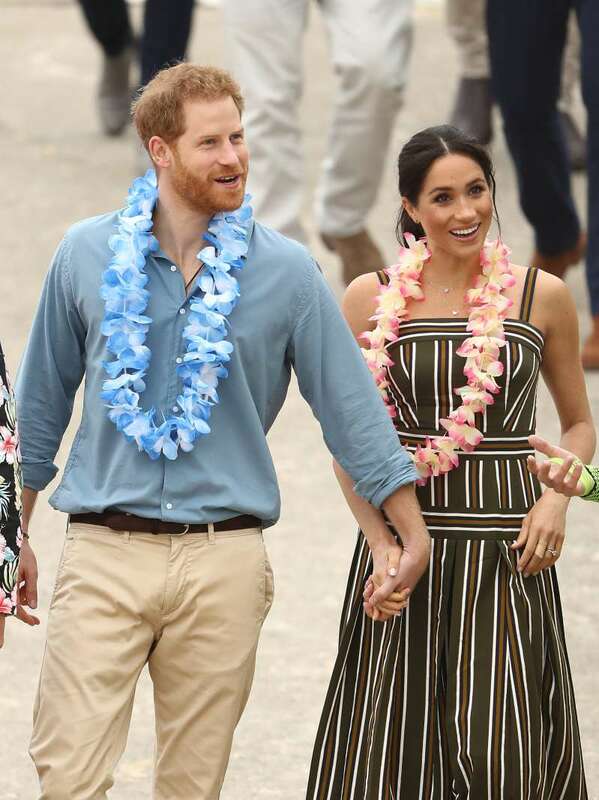 While this may not really ban both Kate Middleton, who has also been spotted in these types of shoes, and Meghan Markle from wearing wedges, it may just mean they would not wear them while accompanying or in the presence of Queen Elizabeth. 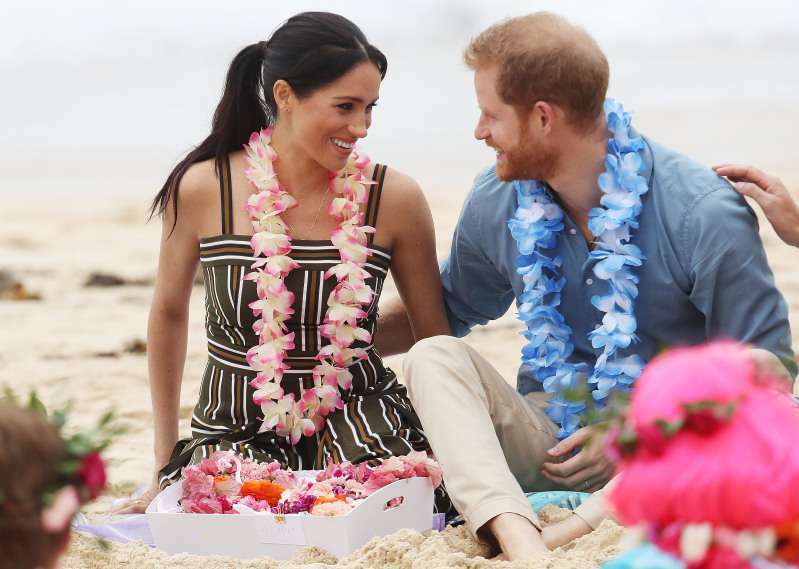 For her day on the beach, the Duchess of Sussex went with a Castaner Carina Wedge, which went perfectly with her casual chic dress. It seemed the right choice for a beach footwear and it blended perfectly with her lovely dress which also gave a small hint of a baby bump. Whether or not she's breaking the rules, Meghan Markle sure looked stunning while doing it. And we bet her husband, Prince Harry, was not bothered in the slightest as he flashed a happy smile and couldn't keep his hand off his wife.